Mechanical Muse has released Heroes of Thornwall, their new Pathfinder adventure. Your party (of 4-8 1st level characters) must save the town of Thornwall from the rampaging goblins that keep attacking. The adventure is meant as an introduction to the Aetaltis campaign world. 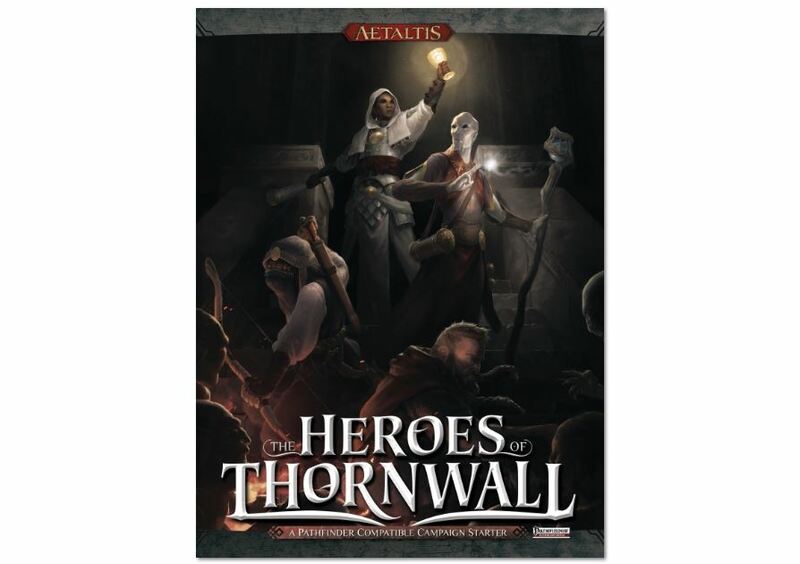 The Heroes of Thornwall book gives you everything you need in order to play the adventure, complete with 20 NPCs representing the townsfolk. Grab your gear and get ready for adventure. 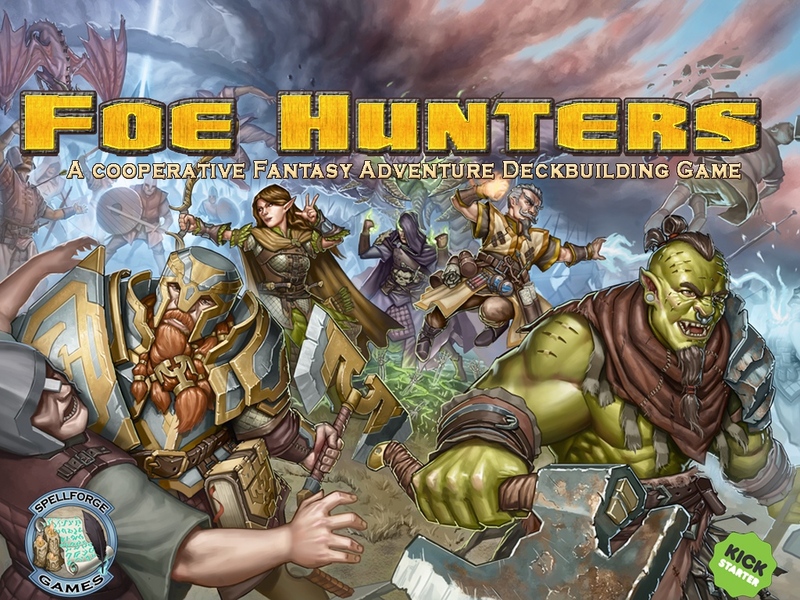 Spellforge Games has launched a Kickstarter campaign for Foe Hunters, their new cooperative deck-building card game. Players in Foe Hunters each pick a powerful fantasy-themed hero that they will lead into battle. The party is working to defeat the Foe, who is controlled by their own deck of cards. Players purchase cards to add to their deck, try and defeat enemies, and protect the City. The game ends when either the Foe or the Heroes lay defeated. Game Salute has launched a Kickstarter campaign for Fast & Furious: Full Throttle. 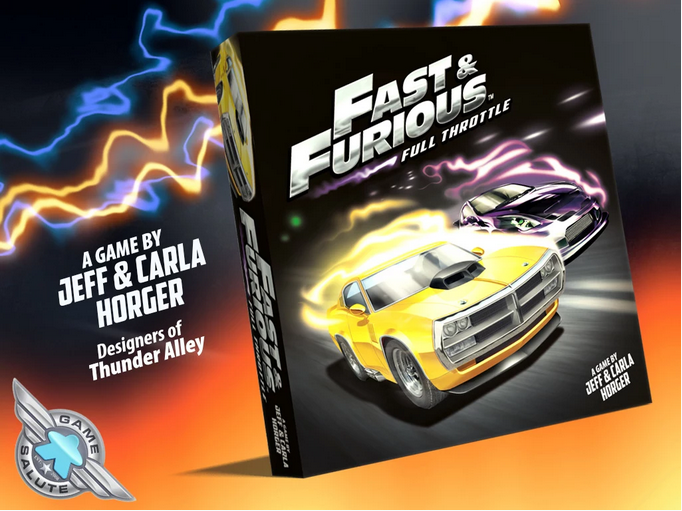 Designed by Jeff and Carla Horger (Thunder Alley), this licensed game promises to deliver the high-speed excitement of the successful The Fast and The Furious film franchise to your tabletop. In the game, racers will choose a car, a favorite driver (such as Dom, Brian, Han, and the rest of the crew), and their racing path before pulling up to the starting line. When the flag drops, players race to the finish line using a card-based mechanic that lets you play it safe through smart hand management or risk it all on the reveal of a card. 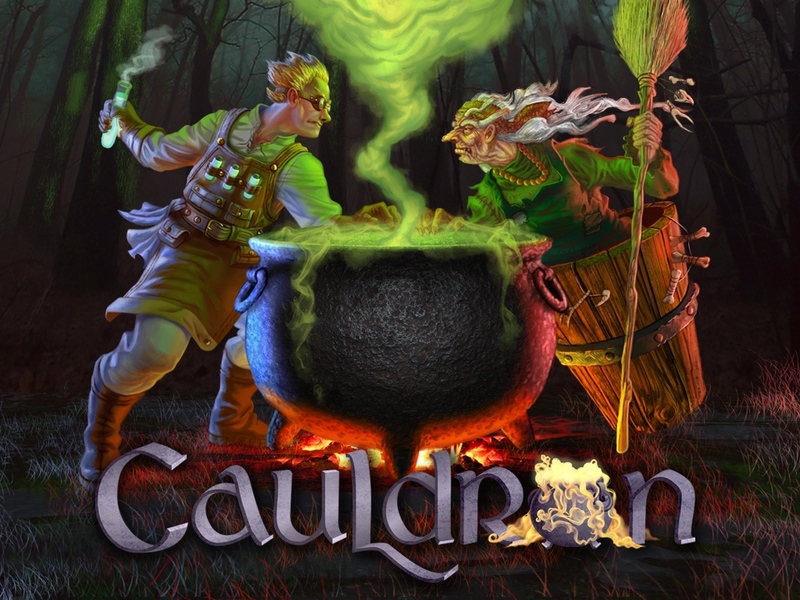 Altema Games is running a Kickstarter campaign for Cauldron, their new board game of potion-building. Players pick one of 7 characters who are trying to brew the most powerful alchemical concoctions they can. Resources are limited, though, and not every ingredient will be available when you need it. If you check out our Review Roundup on Saturday, you'll see several review pieces for the game. The Kickstarter is set to run for another 27 days. 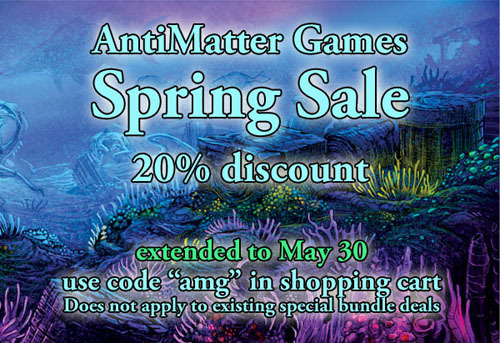 AntiMatter Games has added some new minis to their webshop for ShadowSea. These are some of the Draconid minis they had made from their Kickstarter campaign a while back. Now, if you missed out, you can get yourself some of the figs. And hey, they're having a sale, too. They've extended their spring sale to the end of May. So just use code "AMG" at checkout and get 20% off your order. 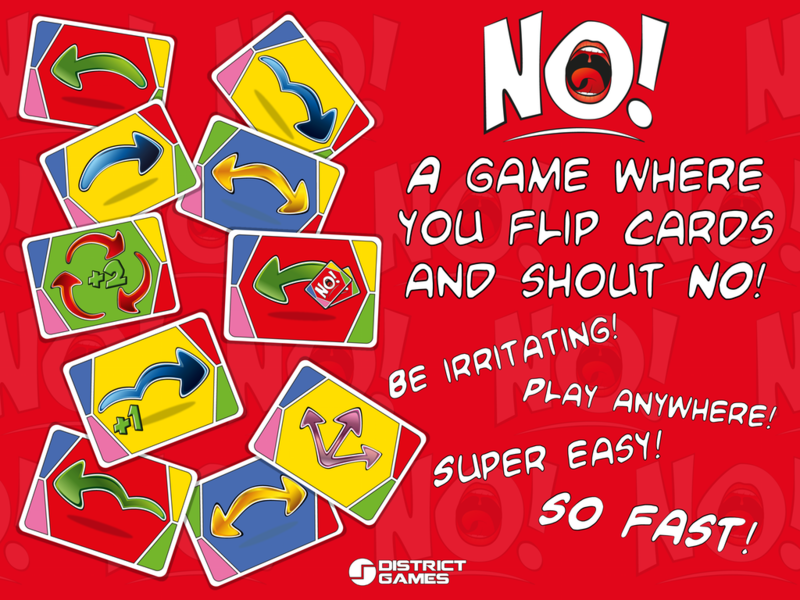 District Games is running a Kickstarter campaign for No!, their quick and casual card game. The object of No! is pretty simple. You just want to be the first player to play all your cards. The only problem is that other players can disrupt your plans by playing No! cards. And since potentially every card in the game is a No! card, that can be a pretty difficult thing. The Kickstarter campaign is up and running now, and will be for the next 27 days. Cryptozoic has announced that they will be shipping their Ghostbusters board game to retailers in October. 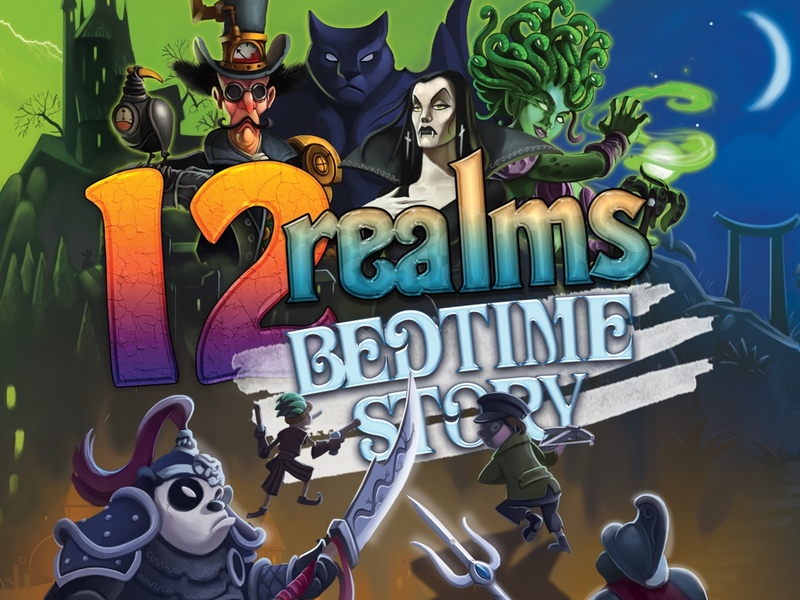 Seems a rather fitting month for a board game about ghosts to hit shelves, doesn't it? 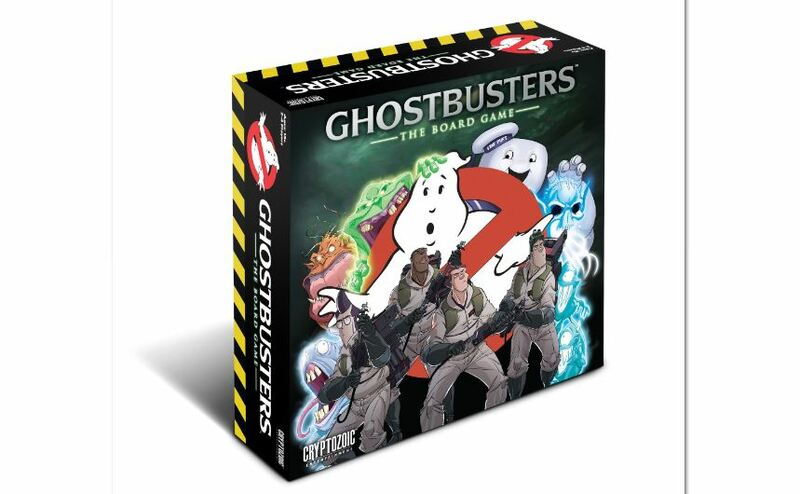 This cooperative board game has players taking on the roles of the Ghostbusters as they try and send ghosts into containment, all the while trying to keep from getting slimed. The retail price of the game will be $85. You can check out a list of the box contents below the cut. 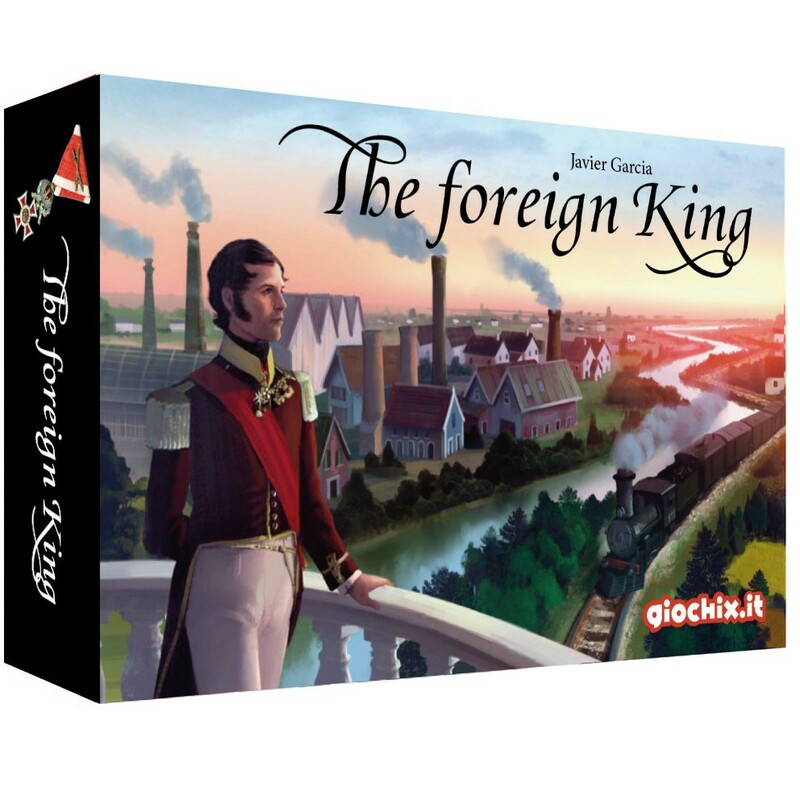 giochix has a Kickstarter campaign up and running for The Foreign King, their new historical board game. In this worker-placement-style game, players are trying to build as many factories and gain as much population as possible in their Belgian provinces. Turn order is crucial, as once a player takes an action for a turn, no other player can also take that action. The game is quick, taking about 40min to play, and has a shallow learning curve, but deep strategy. The campaign is already more than 3x funded, and so it's on to stretch goals for the next 29 days. 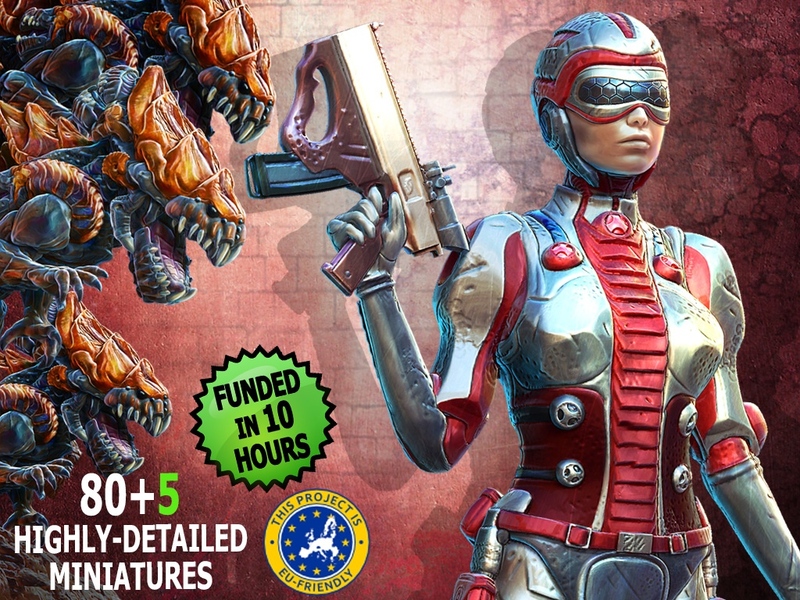 Artipia Games has launched their Kickstarter campaign for Project: ELITE, their new real-time sci-fi board game. A game of Projet: ELITE takes just 30-45min. The game consists of numerous 2-minute rounds where players must decide between defeating aliens or completing objectives. You don't have a lot of time to sit and debate. You've got to go! Go! Go! The game is a cooperative affair for 1-4 players. The campaign is already over their funding goal, so it's on to stretch goals for the next 25 days. WizKids lets you experience one of the classic modules for Dungeons & Dragons in a whole new way. They've released their Temple of Elemental Evil board game. This new cooperative board game pits 1-5 adventurers against the horrors of the Temple of Elemental Evil. Brave traps and monsters in order to grab some of the most powerful relics and valuable loot that can be had. There are both stand-alone scenarios, or you can play the 13-scenario campaign. The game is also compatible with other D&D Adventure System Cooperative Play board games. 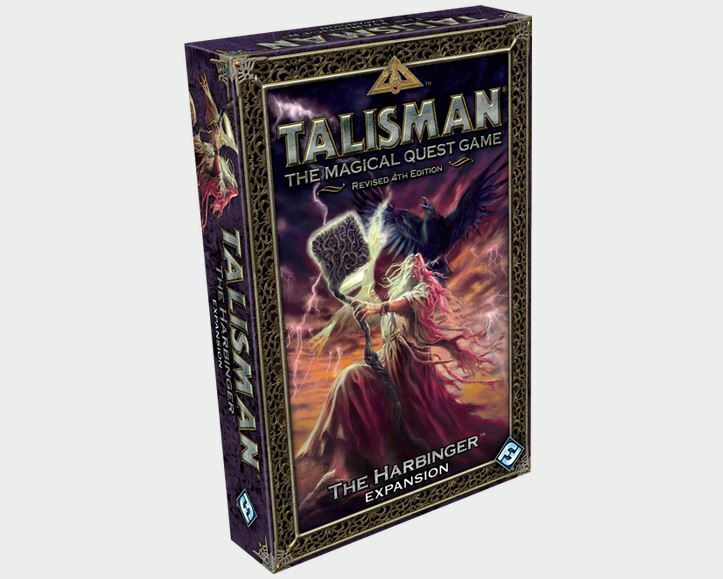 Fantasy Flight Games is bringing you another expansion for their Talisman board game. The Harbinger has come to the world of Talisman and brings with him omens of the end times. The Harbinger wanders the board, and if they're in your characters section, you draw from the peril-packed Harbinger deck instead of the regular deck of encounters. Will you be forced to use Cursed items? Will you be able to defeat the demons that tend to follow the Harbinger around? Can you stop the end times before it's too late? 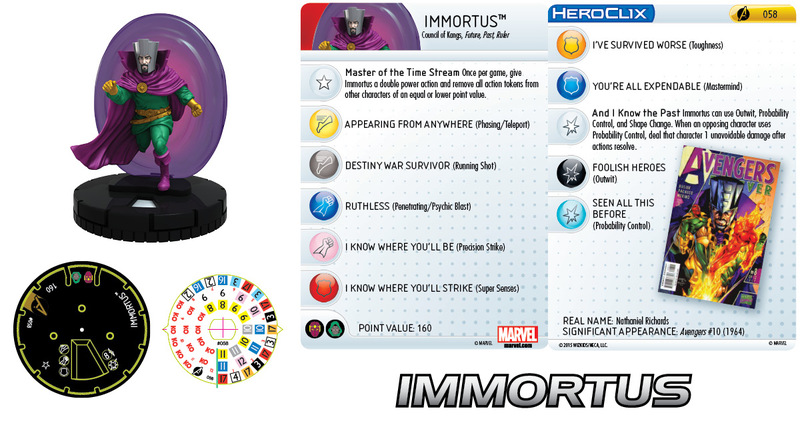 WizKids gives us another look inside the upcoming Avengers Assemble HeroClix set with a preview of Immortus. The time-traveling Nathaniel Richards has gone by a couple names over the years, including Kang. The version for the Avengers Assemble set certainly takes advantage of time-hopping abilities to basically get to wherever he wants. Also, once per game he can have everyone else on the board clear of action tokens, if they're lower point cost. Good times. Warlord Games is looking to add to their team. Could you be the right gamer for the job? They want to add a new Mail Order Assistant. The job description includes pulling product from the shelves and packing them for delivery, weighing boxes and assigning correct postage, as well as other various duties. Could this be the break into the gaming industry you've been looking for? 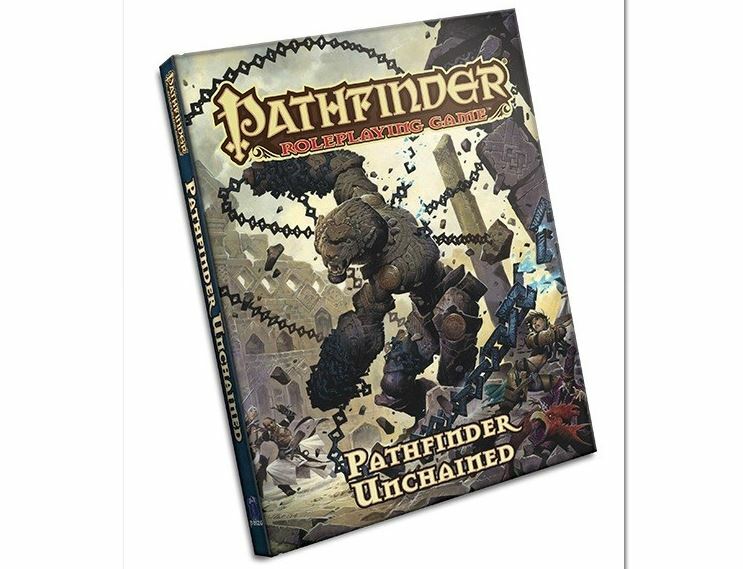 Paizo has released their new Pathfinder Unchained book for their beloved Pathfinder RPG. Unchained takes what you knows about Pathfinder and updates it. After years of working with the system, the designers felt things could use a bit of work. So they've taken several core classes and monsters and took them back to the drawing table and now present them anew. With new balances to just about every aspect of the game, from classes to combat to monster creation and spell casting (and other aspects that don't have a "c" in them), Unchained is sort of the "3.5" of the system. 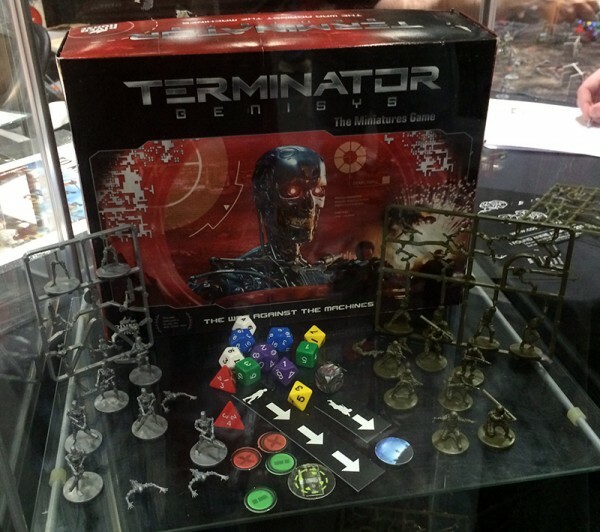 Warlord Games had some preview material for Terminator Genisys on display recently, including a look at the box contents, the rulebook covers, and some of the sprues. There's also a (slightly grainy) photo of some painted-up human survivors. They also remind us that pre-orders are to begin next month, so keep a look-out for that. 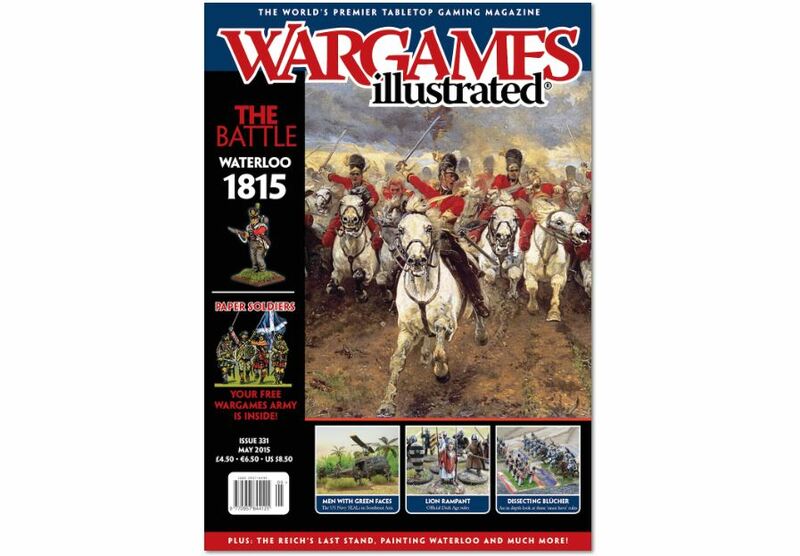 Wargames Illustrated has their May issue of their magazine now available. This month's focus is on the battle of Waterloo. Articles include a guided tour of the Waterloo battlefield, a culmination of a Hundred Days miniatures campaign, and a guide to painting figures based on the main armies that battled all those years ago. Get yourself a copy now. 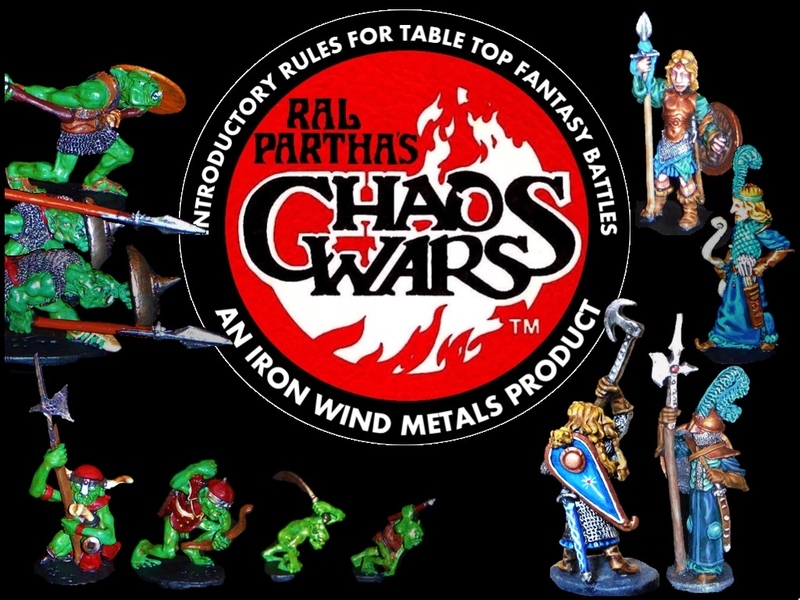 Iron Wind Metals has launched a Kickstarter campaign for Chaos Wars from Ral Partha. This is a re-release of the classic fantasy miniatures skirmish game. The 48 miniatures in the set were sculpted by the legendary Tom Meier. The minis for this campaign will be all-new casts of the master minis. The campaign has already reached their funding goal, so it's on to stretch goals, where backers will have a voice in deciding which army will be the next to be released for the project. The campaign still has another 19 days to go. 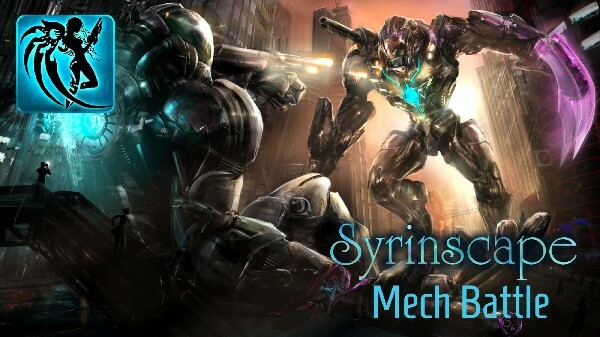 Syrinscape has another pair of SoundSet Packs in order to enhance your gaming sessions. This time they go to the sci-fi side of things with Mech Battle and Nuclear Submarine. The exciting, explosion-filled Mech Battle is great not just for your rpgs, but could bring a lot of flavor to your sci-fi minis games as well. Meanwhile, the tense feeling of being well below the surface of the ocean, can make you really feel the pressure. That creaking? Yeah, that's just the hull fighting back a deluge of water that could drown/crush you in an instant. Nothing to worry about. Don't have Syrinscape Sci-Fi, but want to try it out? They're offering a 30-day free trial right now. Star Trek.com posted up a new preview for the upcoming wave of Star Trek Attack Wing release from WizKids. Along with the new ship, of course there are new upgrade cards to be had as well. This one gets you some pretty nasty new weapons, including a once-per-game shot that rolls 8 dice for attack and ignores shields. There's also a set of torpedoes that rolls 5 attack dice. Ba-da-boom, indeed. I do wish they used larger images for their card previews, though. 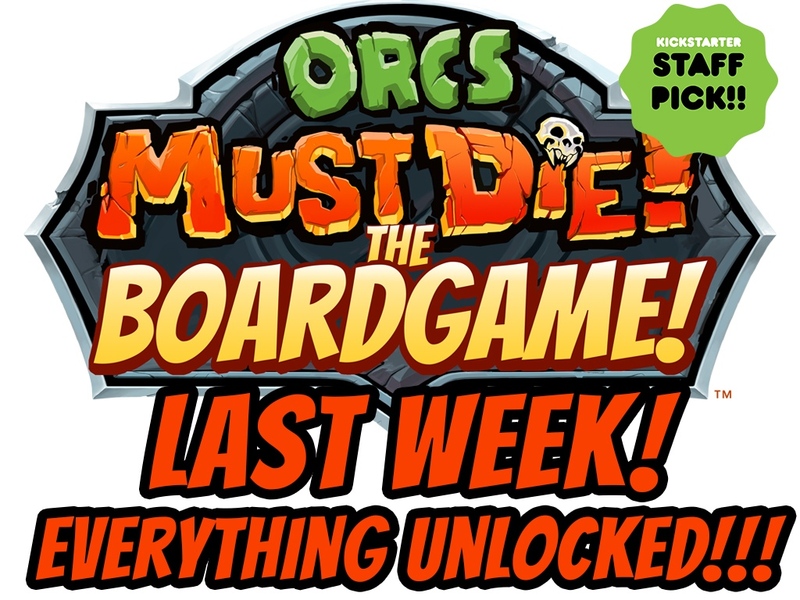 Petersen Games has just a few days left to go for their Orcs Must Die! 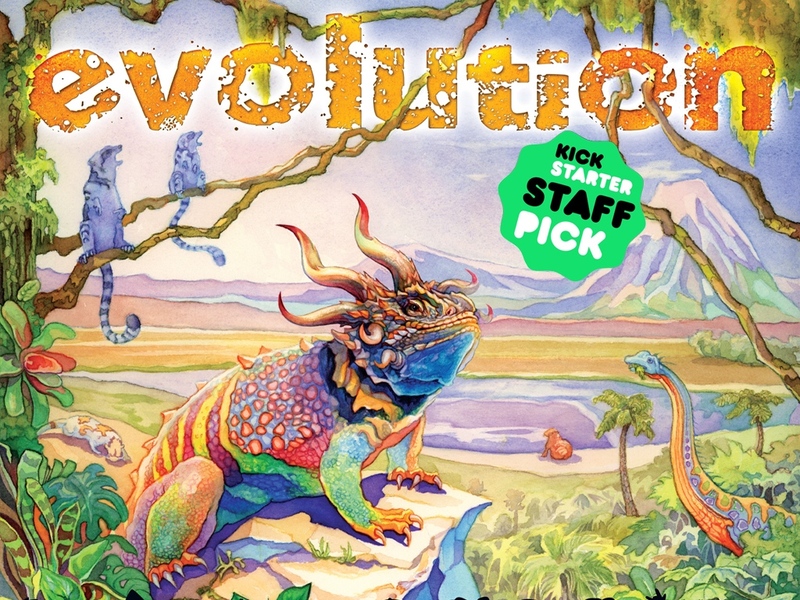 board game Kickstarter project. The game, based on the award-winning video game, is a cooperative tower-defense style game where players must protect their castle from... well... orcs. They're closing in on being 5x funded, and have pretty much everything unlocked that you can add to the campaign. Grab your axe/hammer/wand and set some traps, because Orcs Must Die. 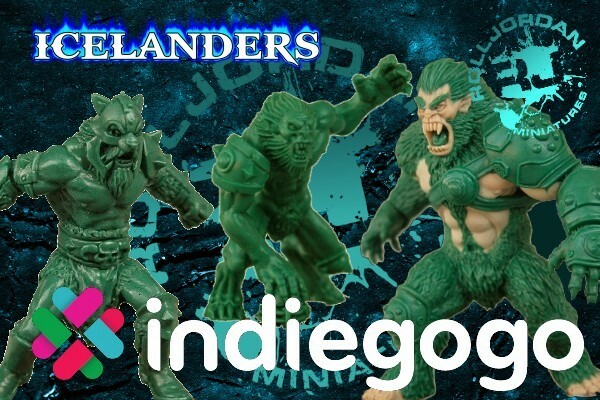 Rolljordan is running an Indiegogo campaign in order to fund their new Icelanders Norse Fantasy Football team. Good for use in your favorite fantasy sports miniatures game, there's a variety of poses and different players available. You can check out previews below. The campaign is set to run for another 30 days. 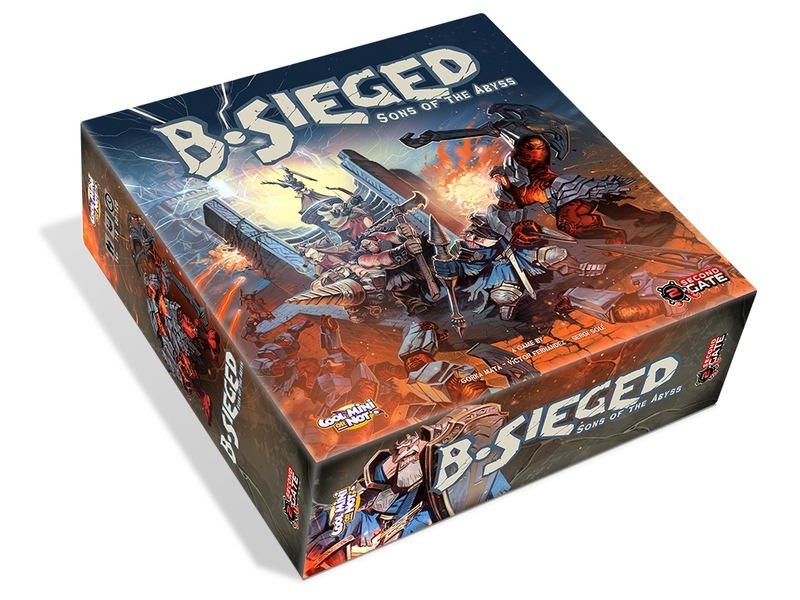 CMON and The Second Gate Games has launched their Kickstarter campaign for B-Sieged, (Click Here) their new cooperative board game. This cooperative game pits players, who take command of heroes defending the city of Modhelm, against the Abyssal hordes, who are looking to wreak death and destruction to all in their path. Over the course of several seasons, players must defend their town while protecting a messenger who is sent out to find a powerful magic artifact that will break the enemy lines. The campaign is set to run until May 19th. Update: And they've made it over their funding goal. So they're on their way to stretch goals for the next 20 days. On the Lamb Games has announced a new expansion for Endless: Fantasy Tactics, that will be coming to Kickstarter next month. Gaiden Series looks to expand Endless: Fantasy Tactics with new minis with new abilities, and new scenarios to test you and your opponent's mettle on the field of battle. For those coming to the CMON Expo, you can count down the final hours of the campaign with the OTLG crew. Check below for preview art for some of the minis coming in the new set (several done by the world-famous Heath "BA" Foley).